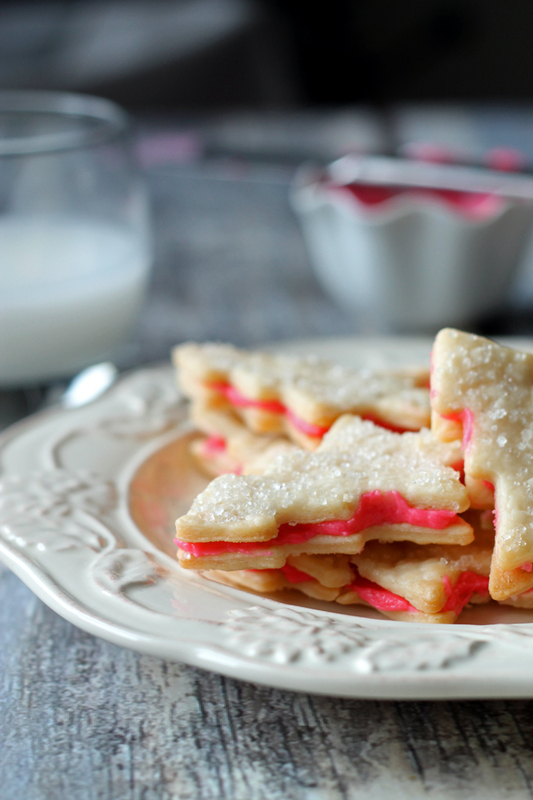 These Christmas sandwich cookies are an old school recipe that my Grandma used to make. They are a Swedish wafer cookie that’s more like flaky pastry dipped in sugar and then filled with sweet icing. They are sweet, flaky and melt in your mouth! My Grandma passed away a number of years ago. About 7 now. She was a feisty woman who lived on her own until the day she died, went on cruises with friends at 86, played the piano and sang, and made the best Christmas cookies in the world. Especially her Christmas sandwich cookies! The Christmas sandwich cookies she made were two flaky melt-in-your-mouth cookies that had sweet icing sandwiched between. The cookie part was more like pastry rather than a cookie and not sweet, but they were dipped in sugar before they were baked. She always made them in little Xmas tree shapes and colored the icing in the middle pink or green. They were absolutely my favorite cookies in the whole wide world and I have kicked myself a million times since she died that I never asked her for the recipe. No one in my family had the recipe! So… I searched. And searched. I tried a bunch of recipes that seemed like they might be it, but no deal. But finally, I found it! The recipe comes from the 1965 Betty Crocker Cookie Book which makes perfect sense. As soon as I read that and saw the pictures, I knew it would be the one. 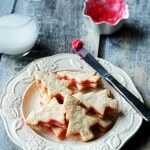 I found it on www.whatscookingamerica.net and they’re called Swedish Cream Wafers a.k.a. the best Xmas Cookies Eva! 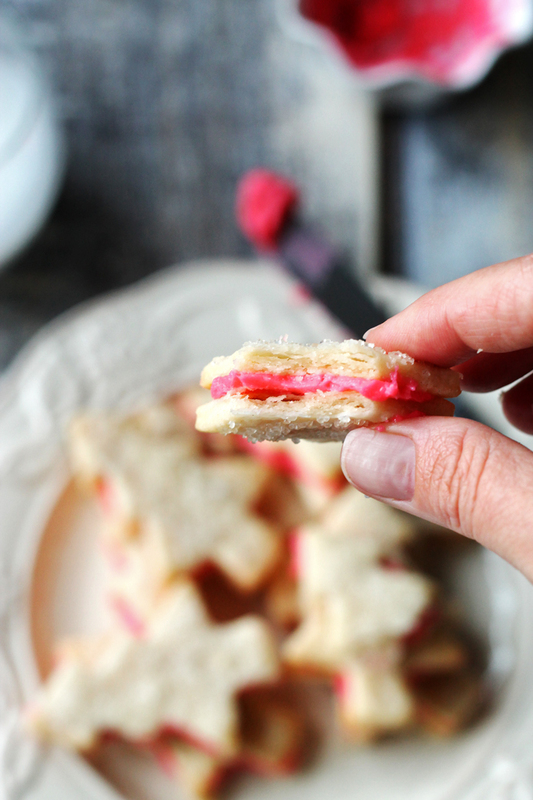 I made these Christmas sandwich cookies first a little while ago and they disappeared before I had a chance to take some pictures! But I wanted to make them again anyways 🙂 I cant wait to make them for my mom this Christmas. I haven’t asked her, but I bet my Grandma made these for her for many years before I every had one. Im sure they will bring back some happy memories. They certainly do for me! In a large bowl, mix together the flour, butter and whipping cream. Cover and refrigerate 1 hour or until firm. On a lightly floured surface, using your rolling pin, roll out 1/3 of the dough at a time 1/4 to 1/8-inch thick. 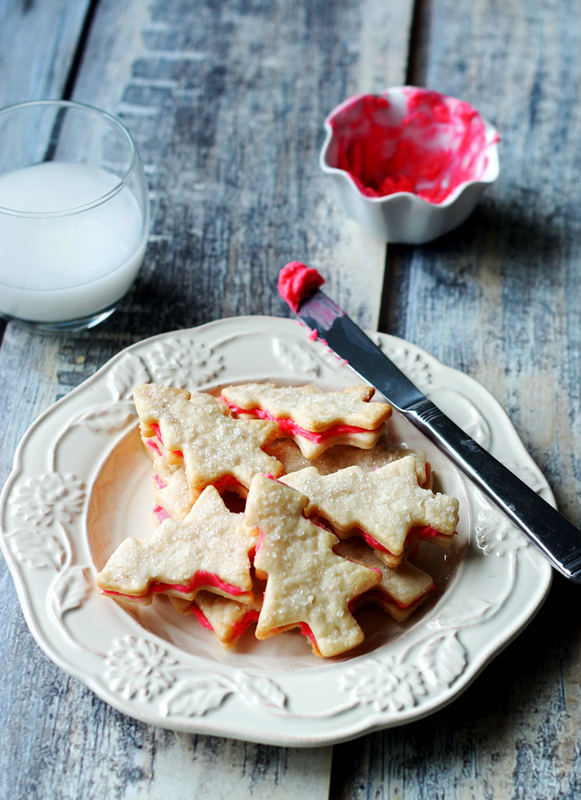 Cut dough with your favorite xmas cookie cutter. You don't want them too thin or they will just bread when they are cooked. 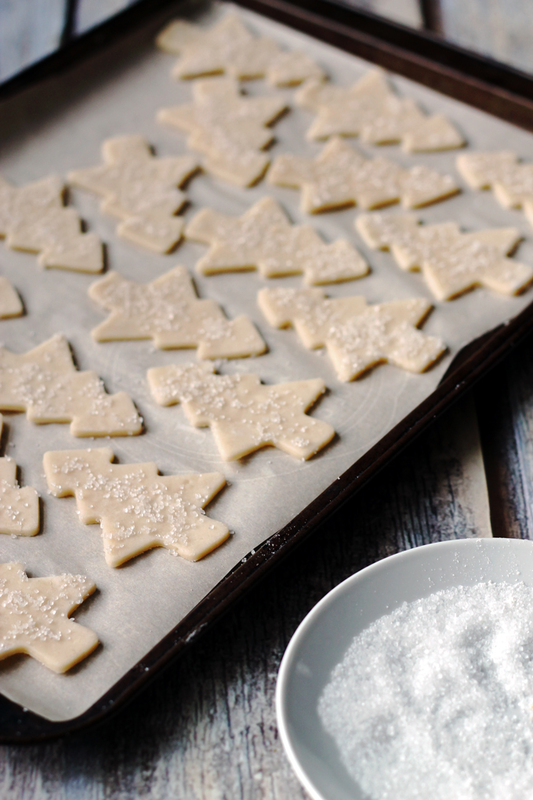 Cover a large piece of wax paper or a plate with a generous layer of sugar. Using a spatula, transfer cookies on to the sugar. Carefully dip each cookie to coat it with sugar. Place the cookie, sugar side up, on an cookie sheet lined with parchment or an ungreased sheet and prick each one with a fork 3 or 4 times. Bake approximately 7 to 9 minutes or just until set but not brown; remove from oven. Remove from cookie sheet to a wire cooling rack and let cool completely. Make Creamy Filling; set aside. When cookies are cool, spread approximately 1/2 teaspoon Creamy Filling on a cookie, then press another cookie against the filling to make sandwiches. Repeat with remaining cookies. In a medium-size bowl, combine powdered sugar, butter and vanilla extract, beating until smooth. Divide the filling between two bowls and color each with a few drops of food coloring to make pink and light-green filling. NOTE: Thin with a little milk or water (a few drops) if necessary. Look at those flaky layers in that cookie! Daaaanngggg girl! It’s like biting into a cookie scone or pie…or . Oh my, I need to put these on my list! I am really glad you found this family recipe and I can’t wait to try it! Thank you for sharing Julie and welcome back! Thanks Traci! Yes, just like a pie. With icing. lol. You will have to let me know how yours turn out. Hi Elizabeth, Thanks for the comment! Let us know how they turn out! Im willing to bet you will love them! 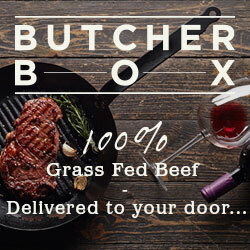 BTW, I just checked out your blog and its so awesomely full of yummy things. My first love is baking and I cant wait to try some of your recipes…! I plan to make these for the upcoming holidays. They look absolutely perfect! One question: do you recommend filling them just before serving, or can they be filled and kept? Also, how long can they be kept? You wont be disappointed! These are sooo wonderful. You can fill them ahead of time or just before. Whatever works best for you. They can be kept for a few days at least. I would keep them in the fridge though if you are storing for more than 2 days.